If you are looking for a used copier in Denver, give us a call. We have a great used copier that is just about 1 year old and is half the normal cost. Many clients look for a used copier when they need a copier because they are looking to save a few bucks. If your company is looking for a used copier in Denver, give us a call. Sometimes, you can get the copier and save enough on your copier so that you can get an excellent document management software program as well. Xerox makes awesome copiers and we are proud to partner with Xerox as your Denver copier provider. 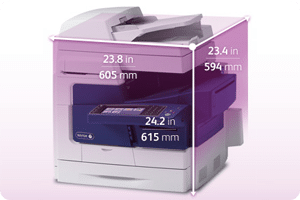 The current deal we are offering is a Xerox Colorqube 8700 for just $1400. It is normally $2800.